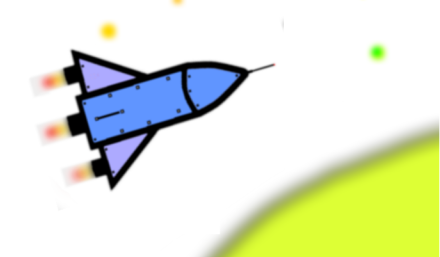 What do I Teach My 3 to 5 Year Old To Draw ? 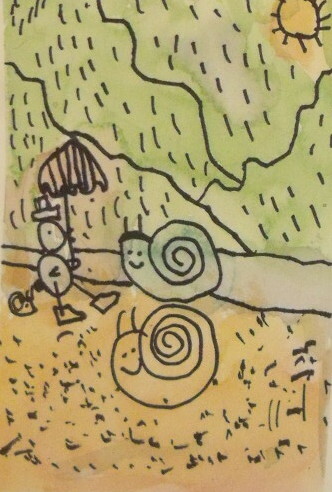 Are you going to want their drawing to be a ‘fun’ activity where you spend precious moments with your young ones? Are you going to enjoy watching them develop, get excited and become absorbed in their art activity? Will you show them what they will need to know to feel secure and confident in your course of action? What is your course of action? 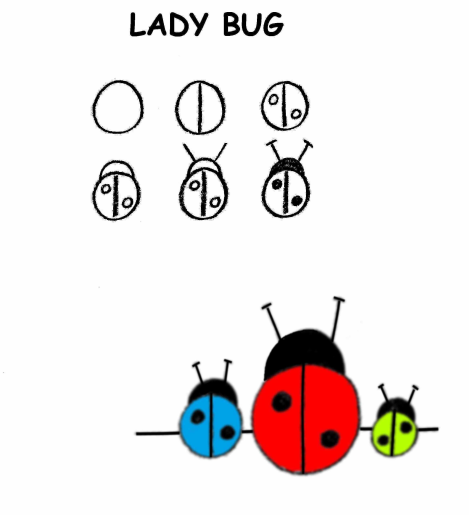 If you are just looking for some ‘easy’ drawings’ to show your child I would suggest you visit all the blogs and pick out the appropriate drawing that interests you. 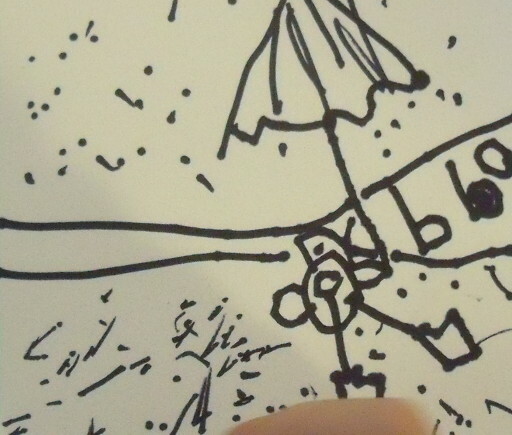 If you are looking for a Developmental Drawing Program that will provide a solid beginning in art for your child and that will educate, entertain and nurture them … then follow right through this blog. 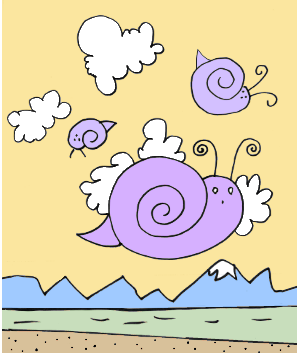 You will get the very best introduction and instruction for a 3 to 5-year-old who wants and needs to draw. YOU CAN GO SEE THIS BONUS BLOG WHEN YOU HAVE FINISHED WITH THIS ONE, Thanks from Ron. 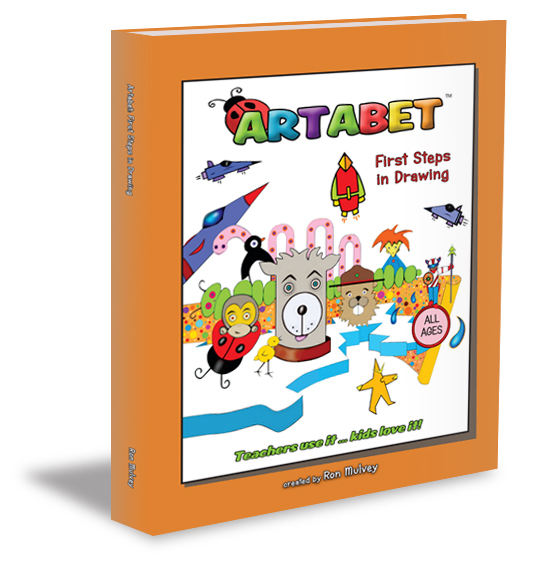 I promise if you do a little reading and some of the Artabet’s preliminary exercises that are coming up you will be more than satisfied with the progress those little hands are going to make. 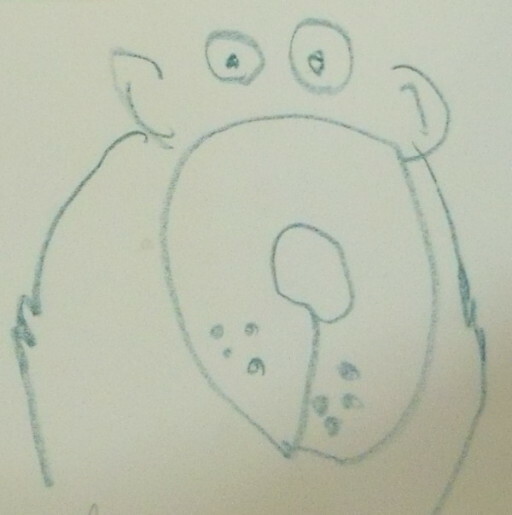 What you should teach a 3 to 5 year old to draw ? If you were to teach a 3 to 5 year old to write you would start with the Alphabet. Best beginnings make the best endings: Let’s get a good grip on our Pencil to start with. 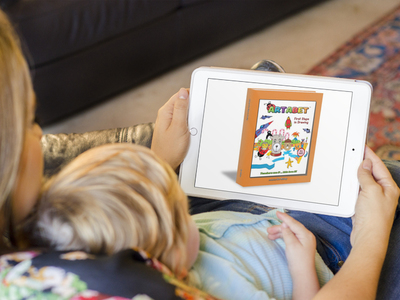 I have taught the Artabet for over 25 years and it is the best plan that I have found for young artists, especially for ages 3 to 5. Here are the 5 reasons why. 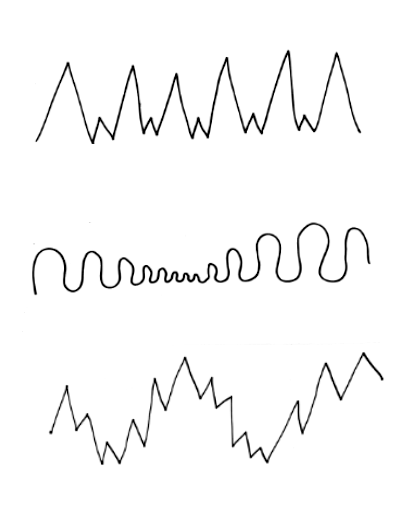 Drawing is movement that uses 6 universal lines. No more and no less! This is a fact. 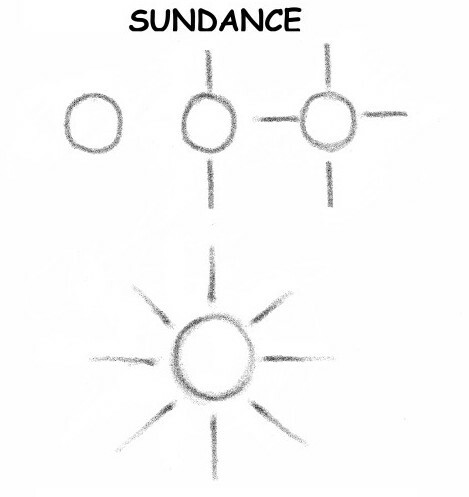 Learn these 6 universal lines and your child’s progress will be phenomenal! 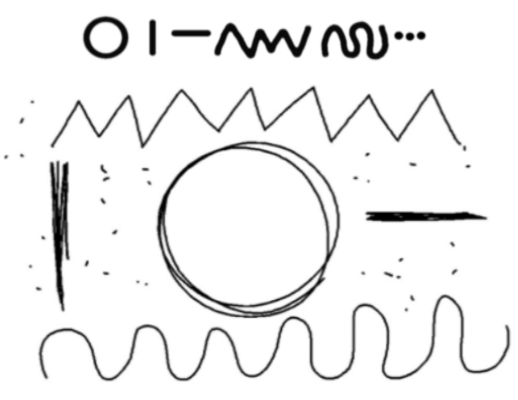 Practice the 6 universal lines and then start drawing the simple ‘age appropriate’ drawings I am going to show you. 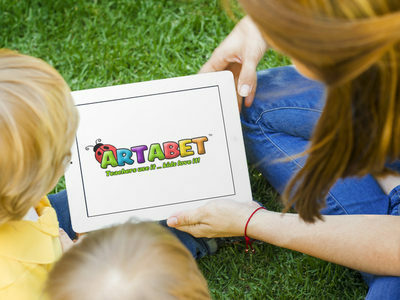 Artabet is fun, lots of fun! 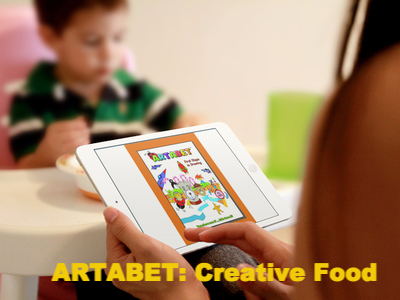 Artabet layers in artistic concepts that allow the very young child to express themselves creatively. They actually learn a new language! 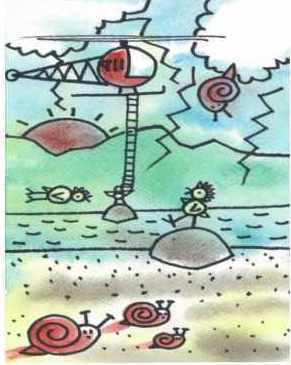 Kids love ‘whimsy’ and this picture is chock full of fun and excitement. 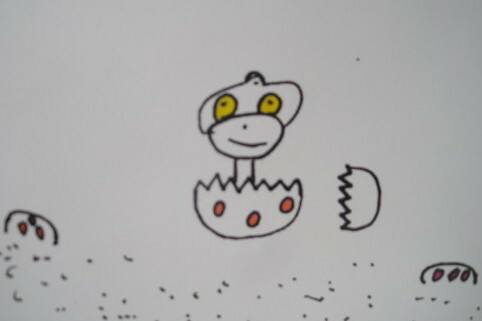 Draw a Story! Let’s use the pencil as our primary ‘drawing tool’. 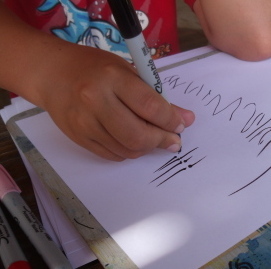 How you hold the pencil is very crucial to drawing at ages 3 to 5. It is as important as a fine grip on a violin bow, a hockey stick, a spoon, a toothbrush ,,,at this age it is all about holding things and developing the fine motor skills. Tying shoes, doing up buttons, putting on clothes,all motor actions that develop through proper repetition and guidance. Time to get a pencil … See How To Hold It … and start drawing ! How a Good Grip Makes a Great Start ! How do I hold my pencil or pen? 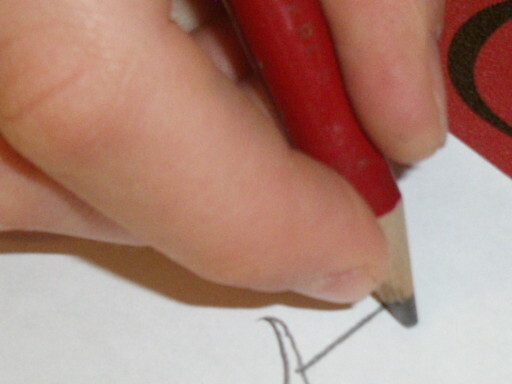 Holding the pencil near the tip is facilitated by using a short pencil. If you don’t have one, cut one of your pencils to a shorter length, about the size of a crayon. Progress will be faster if you do this as the pencil is now scaled to their hand size. Consider how difficult it would be for you to draw if your pencil was a foot long. I have observed 3 ways that students hold a pencil or pen over the last 25 years. There are of course a few unorthodox ways to get the job done but we will consider only three. #1 Index and middle fingers on the side of the pen. Thumb is extended and touching index finger. #2 Index and thumb working together to create downward pressure while the middle finger is curled on the underside of the pen for balance. I develop this grip with my 3 to 5 year olds. Kindergarten and grade one teachers promote this as the best grip. #3 All three fingers and maybe even the fourth on the side of the pen with thumb on top. 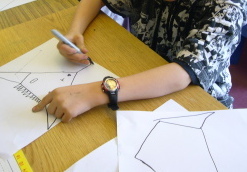 This grip is used by the student so that they can see what they are drawing. Pressure directed downwards by the thumb. Is one grip better than the other? I would think that the middle grip is the most demonstrated model for young students. I will re-form a students grip when i feel that the middle grip would help the student draw with more facility than their present grip. Older students who have set their grip in stone after years of practice are best left alone as they have adapted to their grip and manage quite well with it. Think of the technique needed to glide a violin bow, execute a pirouette, cut a diamond, shoot par golf,garden and thousands of other endeavours. The artist needs to make their mark and there are dozens of ways to make that mark just as there are many different ways to move the violin bow or swing a golf club so it is with the artists tools.The pencil and pen should be used with strength, softness, vitality and energy. 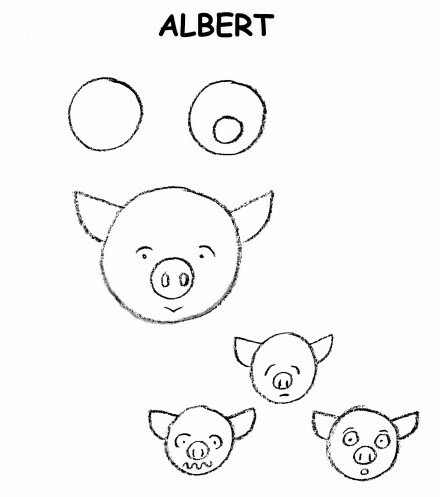 Do the same for each of the 6 lines. 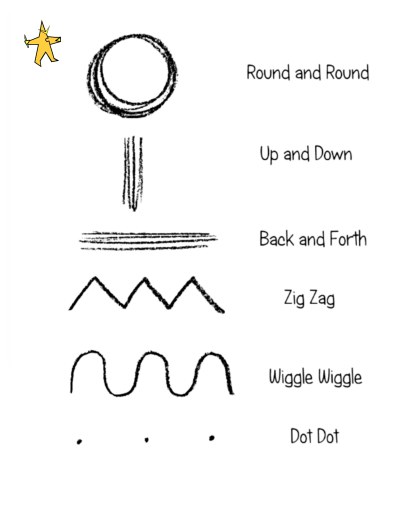 Wiggle Wiggle may be a challenge … keep at each day until you get it. 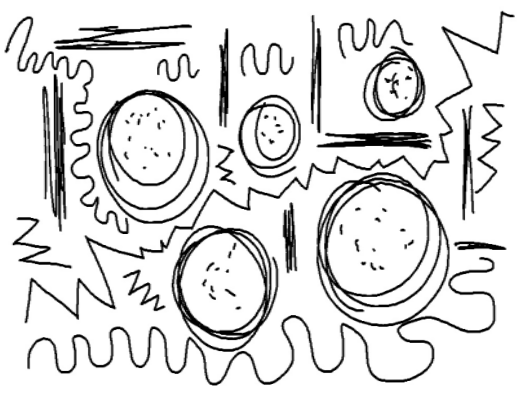 Repetition is our mission and ten thousand times is fun. That should get you started and keep you busy for at least a month if you follow directions. 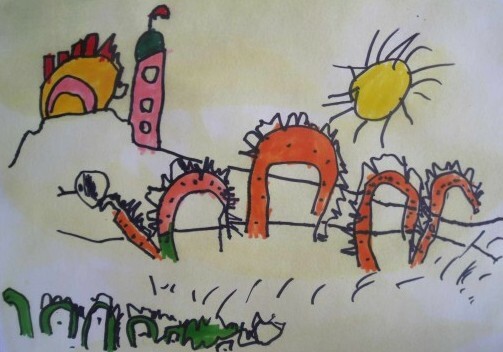 Look over the rest of the blogs and you will find enough to keep you busy teaching your 3 to 5 year old to draw and paint for a long time. 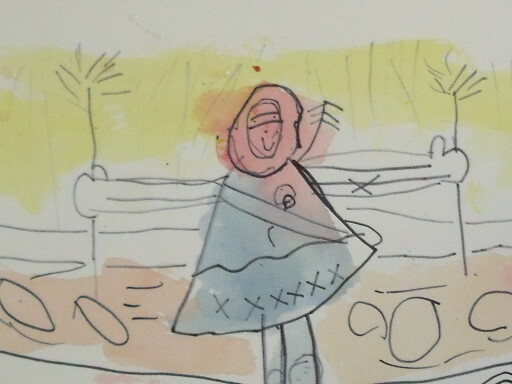 All the ideas for my blogs come from the Artabet Book ‘First steps In drawing’ I recommend it because it has the foundation your child needs. 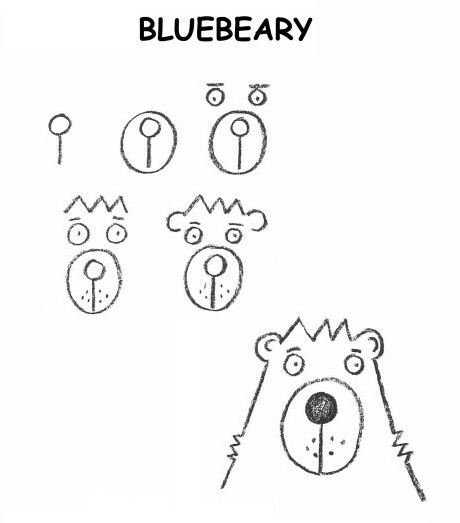 How to teach drawing and have fun. You can purchase the book on Amazon.com. just put in the title.